Business casual pleated chino short is a blended twill with a soft hand. Perfect for any outdoor activity, this short is loaded with performance features including soil release and moisture wicking. Embroiders well. 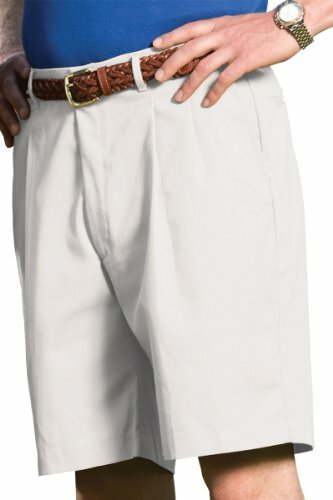 65% Polyester/35% Cotton; 7.5/8.0 oz.wt, Business casual chino short, Pleated front, hook/eye closure, brass zipper, Two front and back pockets, 9" inseam, Moisture wicking fabric, Soil and wrinkle resistant, Laundry friendly, Men's size: 28-54, 29", 31", 35", 37" waist size not available. Pleated front, hook/eye closure, brass zipper.